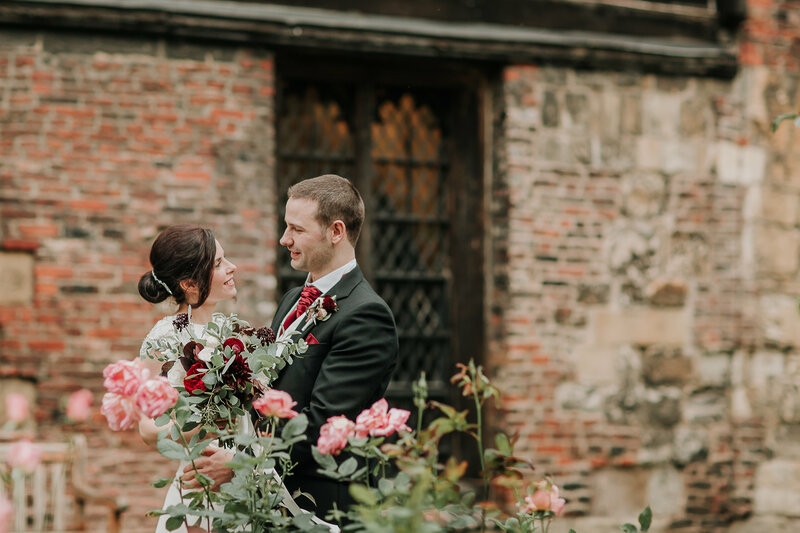 The Merchant Adventurers’ Hall is a wonderfully romantic setting for large or small wedding celebration and can exclusively accommodate 20 to 180 guests for ceremonies and receptions. Large ceremonies or partnerships take place in our stunning timbered Great Hall, whilst small ceremonies (20 people or less) are held in the elegant Governor’s Parlour. 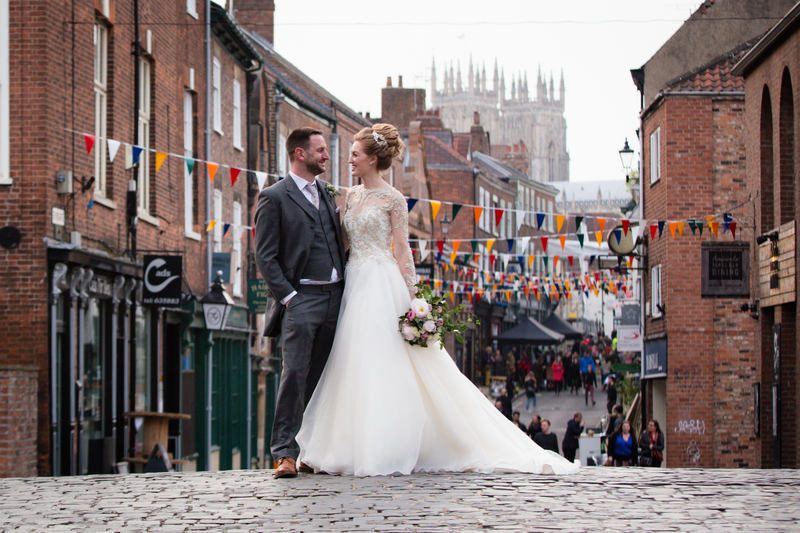 Afterwards, celebrate with a dinner in the captivating Great Hall followed by an evening reception in the Undercroft where entertainment and bar facilities are located. 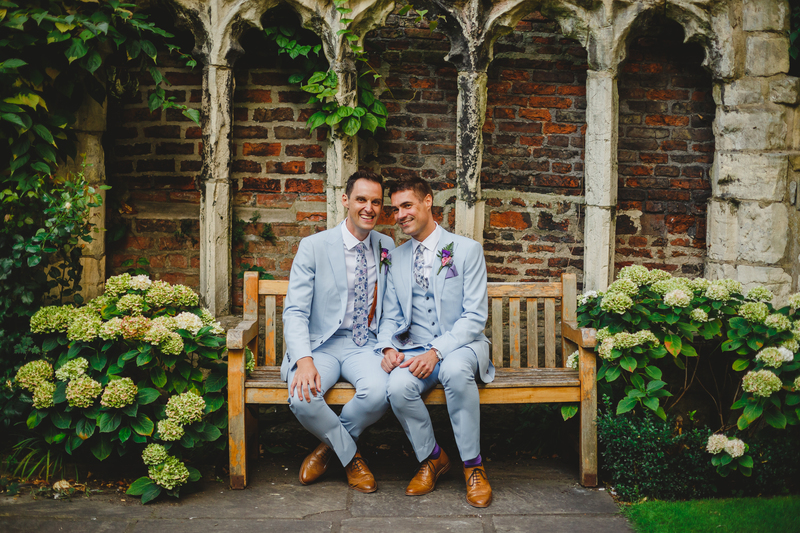 The Hall’s secluded walled garden provides an ideal setting in the Spring and Summer months for a pre-dinner drinks reception and plenty of potential for photographs to capture celebrations. Weddings can be booked on a Friday from 5.00pm and on Saturdays from 3.00pm providing ample time to celebrate your special day. Viewings of the Hall are by appointment only. 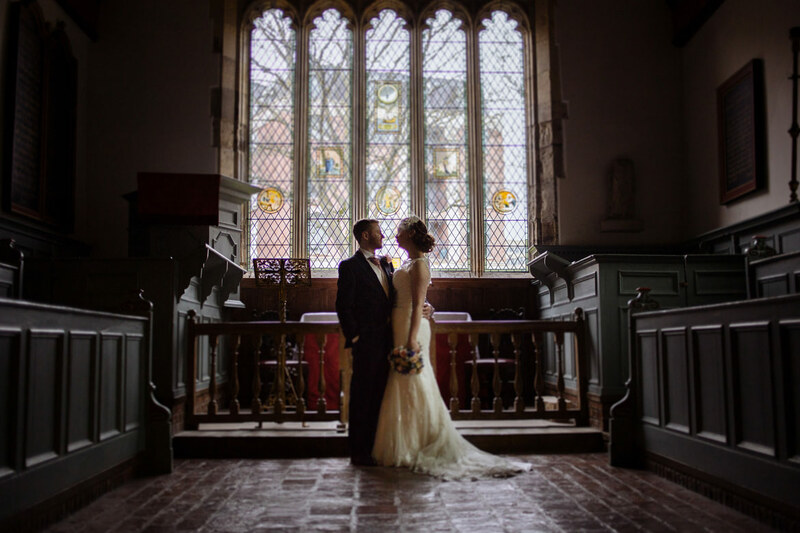 Early booking of the Hall for your wedding is recommended as it is a popular venue. We know that you may be concerned to hear that stiletto heels are not permitted in the Hall. This is to protect both you and our ancient wooden floor. We classify a stiletto as anything smaller than a 5 pence coin. Heels larger than this are welcome! However, you can now wear your favourite stilettos as we stock heel caps at £3.50 a pair. So never fear, this means that you can wear almost any pair!